With the face the Lord bestowed on Bob Kortman, he couldn’t play anything but a mean, nasty heavy. His skeletal high cheekbones, hollow cheeks, crooked evil smile and glaring eyes definitely branded him an outlaw. The scowl and sneer were perpetual from the days of William S. Hart silents on through the ‘50s in some 250 films, 90% of them Westerns. Robert F. Kortman was born December 24, 1887, in the state of New York, not in Philadelphia as is widely reported. His parents were Henry Kortman and Lina Thiel. 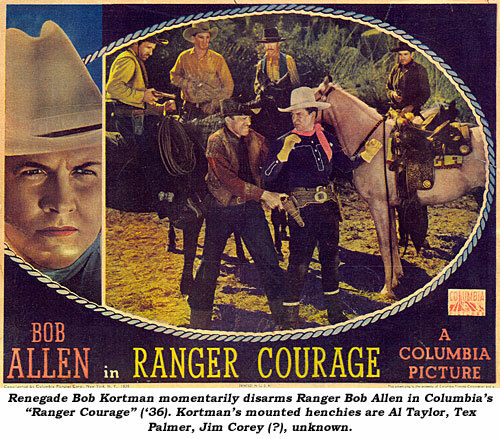 According to the 1931 Motion Picture Almanac, he was educated in England and Germany, then spent six years in the U.S. Cavalry. 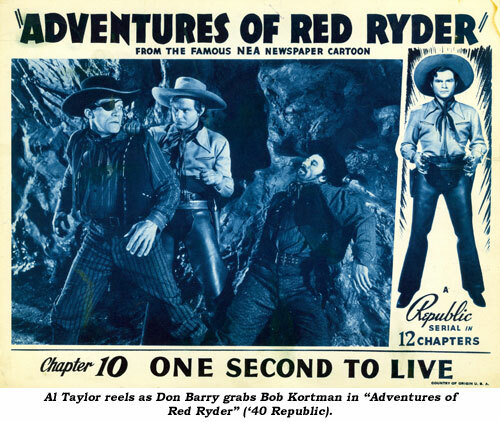 He entered films in 1911 as a horse trainer for filmmaker Thomas H. Ince, however his earliest known film is “Desert Gold” (‘14 Kay-Bee) with Charles Ray. 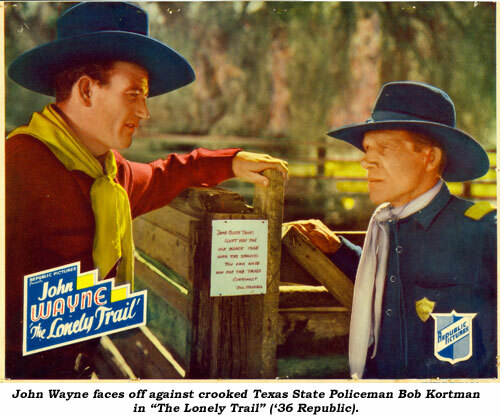 This led to several Westerns from 1915-1919 opposite the illustrious William S. Hart. 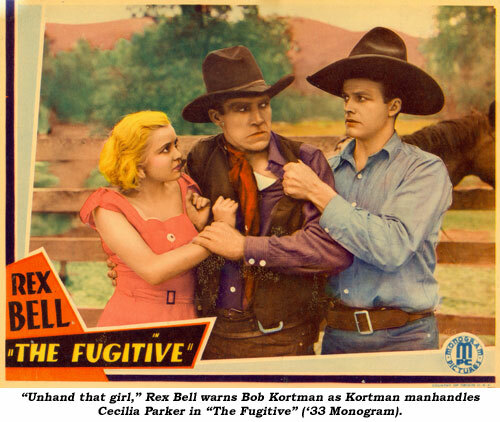 During the silent era Kortman also appeared in various comedies, utilizing his villainous looks. Work included major films like “Hunchback of Notre Dame” (‘23), “Godless Man” (‘20) and “Sunrise” (‘27). There was also one serial, “The Great Radium Mystery” (‘20). 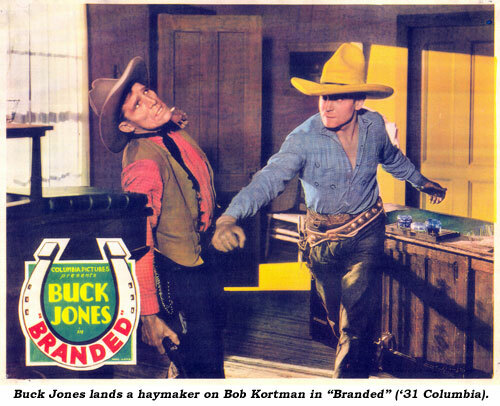 Kortman moved easily into talkies, continuing to send shivers up the spines of Buck Jones, Ken Maynard, Tim McCoy, Rex Bell, Tom Mix, Harry Carey, John Wayne, Bob Steele, Bob Allen, Roy Rogers, George O’Brien, Johnny Mack Brown, William Boyd, Tim Holt, Buster Crabbe and others. 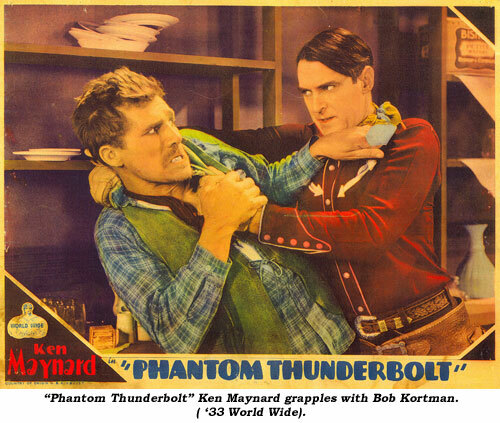 Kortman etched out a career in serials as well, appearing in some 20 cliffhangers with his treacherous role as Magua in “Last of the Mohicans” (‘32 Mascot), Ravenhead warrior Longboat in “Miracle Rider” (‘35 Mascot), and his black-eye-patched One Eye in “Adventures of Red Ryder” (‘40 Republic) heading the list. Well respected as an actor, he gained credits not only in B-westerns but in classics such as “The Virginian” (‘29), “Trader Horn” (‘31), “Trail of the Lonesome Pine” (‘36), “Oklahoma Kid” (‘39), “Beau Geste” (‘39), “Sullivan’s Travels” (‘42), “Along Came Jones” (‘45), “The Paleface” (‘48) and “Mating Season” (‘51), among others. Although early television probably beckoned, he apparently wanted no part of the small screen. 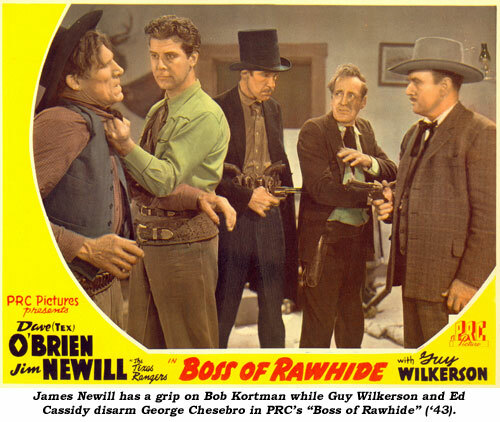 He continued to work though ‘52 with his last role coming in “Aaron Slick From Punkin Crick”. 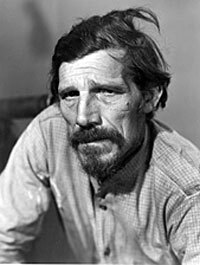 Widowed, Bob Kortman, truly one of the best of the badmen, died March 13, 1967, at 69, as a result of cancer at the VA Hospital in Long Beach, California, where he’d been a patient for three months. His death certificate indicates military service in WWI, apparently circa mid-1917-mid 1919 judging by his lack of screen credits during that period. Kortman’s remains were cremated and are at rest at Montecito Park in Colton, California.